The New Year exploded across Pattaya in a shower of fireworks and traditional celebrations as the city counted down to 2011. 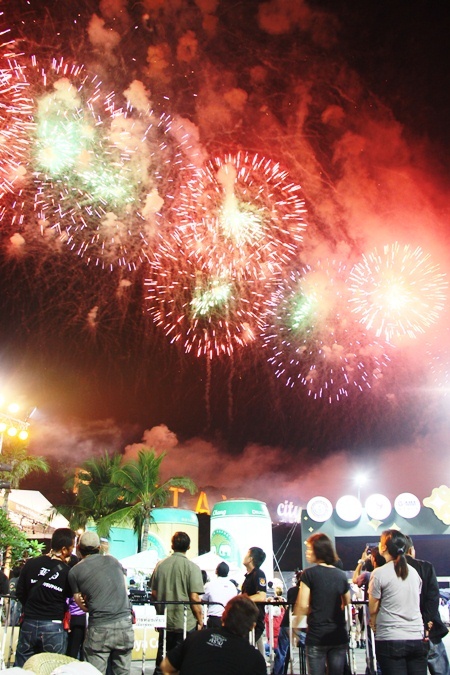 Pattaya’s entire beachfront was lit up with fireworks displays, the largest of them staged at Bali Hai Pier where city officials presided over the official Grand Pattaya Countdown 2011. Shells exploded in a rainbow of colors for 10 minutes in a show seen across Thailand and Asia on television and by tens of thousands in town. 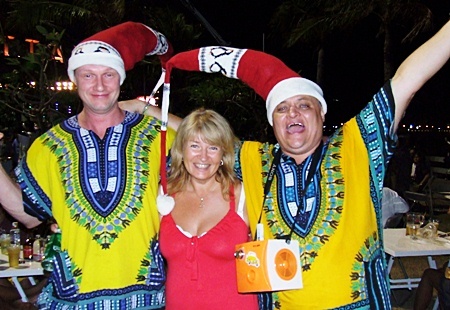 Foreign guests certainly enjoy the festival. Bodyslam and other Thai rockers kicked up the volume for the celebration for tourists and locals packed into the pier area. But the celebration didn’t stop there. 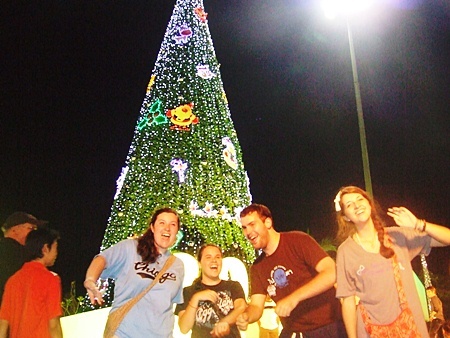 Restaurants, entertainment complexes and hotels welcomed the new year with various festive events. 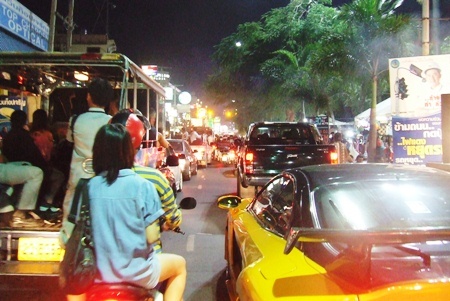 Walking Street was packed shoulder-to-shoulder and the roads clogged with horn-honking vehicles and shouting revelers. 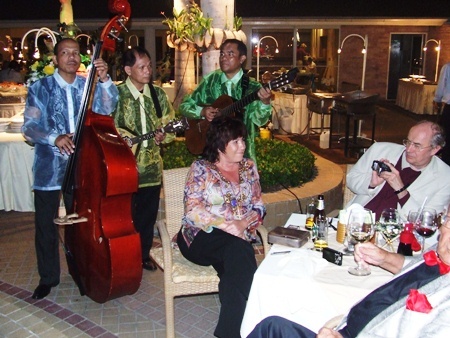 Things were a bit tamer at the Amari Orchid Resort and Tower where traditional shows greeted guests. Meanwhile, at the Hard Rock Hotel, the huge swimming pool provided the backdrop for a memorable New Year’s Eve. Bjarne (left) and friends ring in the New Year at Cafe Kronborg. 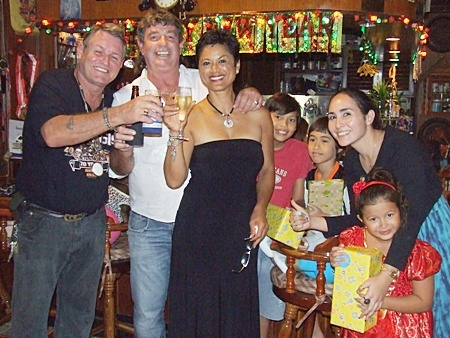 Happiness is everywhere on New Year’s Eve in Pattaya. 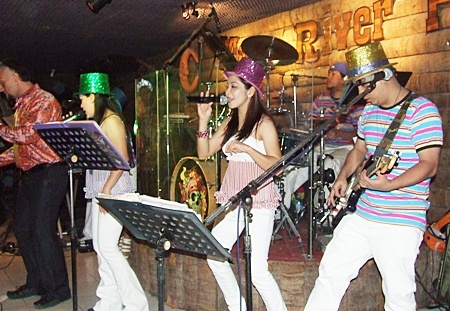 The Los Cuerdas Trio from the Philippines entertains guests at the Moon River Pub. Beautiful women dress in their best attire at the Amari Orchid Resort and Tower Pattaya. It’s a fancy costume night at the Mata Hari restaurant. It’s a pink New Year on Walking Street. 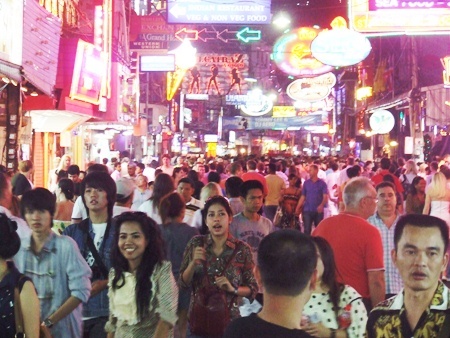 Walking Street is always packed with tourists throughout the festival. 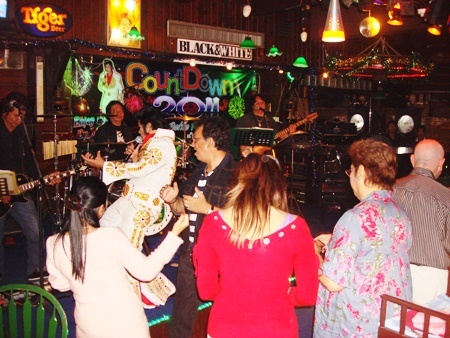 Elvis is in the building, at the Green Bottle Pub. As always, traffic is bumper to bumper on the last day of the year. 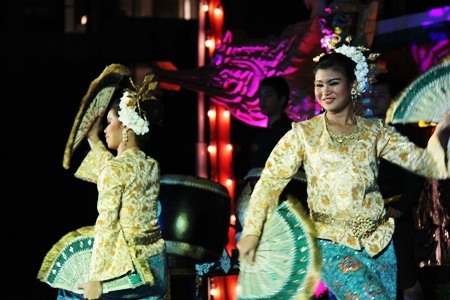 The traditional show brings down the house at the Amari Orchid Resort and Tower Pattaya. 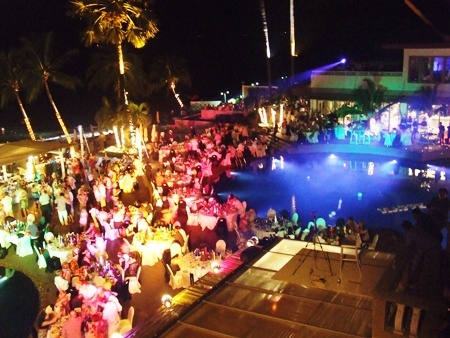 Hundreds of guests gather around the pool to ring in the New Year at Pullman Pattaya Aisawan Resort & Spa. As the magic hour approaches, and well beyond, the house band at the Moon River Pub cranks up the volume and inspires guests to dance into the New Year. 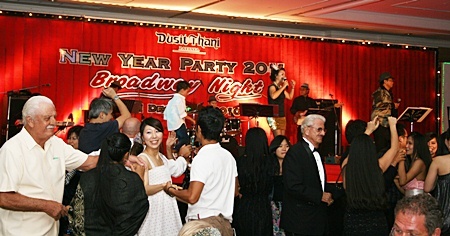 Guests dance into the New Year at the Dust Thani Pattaya. 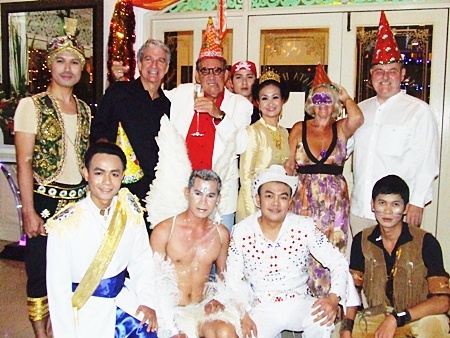 It’s an extravagant show at the Dust Thani Pattaya. 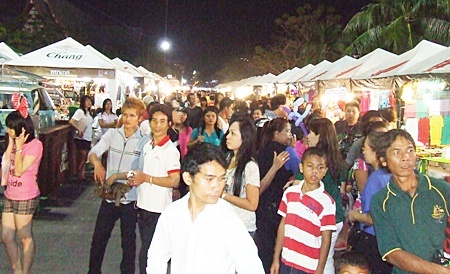 Stalls along Pattaya Beach Road from North to South Pattaya do brisk business during the New Year festival. 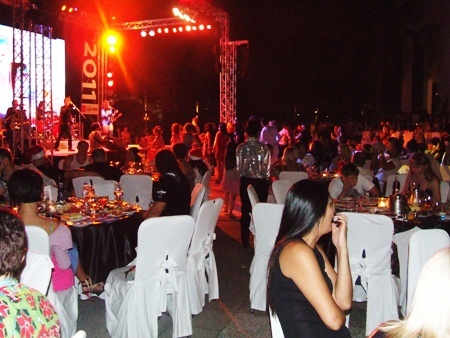 It’s a rockin’ New Year’s Eve at where else but the Hard Rock Hotel Pattaya. The race is on! Who will win the beer drinking contest at the Hard Rock Hotel? 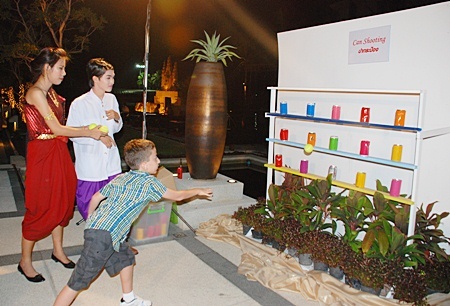 Fun and games for all ages at the Amari Orchid Resort and Tower. 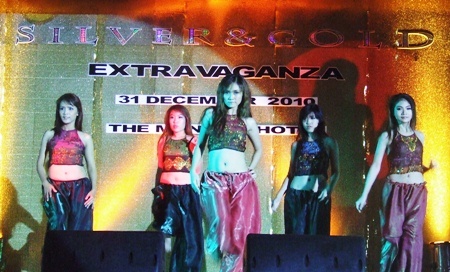 Montien Hotel puts on a heart stopping ‘Silver & Gold Extravaganza for New Year’s Eve. Fireworks light up the night sky from North to South Pattaya.